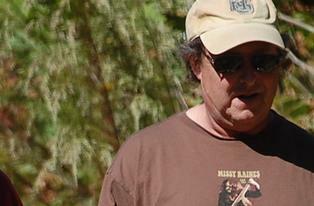 Make Your Own Rain Barrel Upcoming Workshops! you can get 70% off the regular price, making your cost only $15! 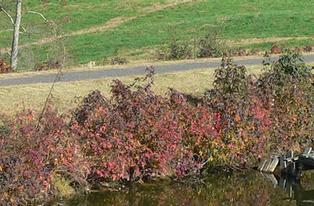 Simply visit the Carter Bank & Trust locations at 141 Westover Dr., in Danville VA OR 5715 West Gate City Blvd. 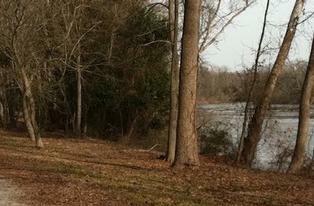 in Greensboro, NC to get the special discount code, then enter it below! 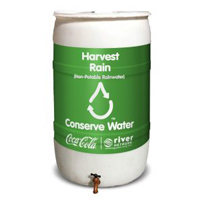 You'll get everything you need at this workshop to make your very own rain barrel for your home or office. 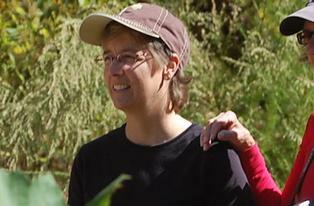 You will need to make sure you can carry your 55-gallon rain barrel home with you. Limited space available! 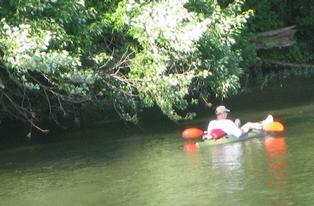 $50 Workshop Fee includes barrel, all supplies, instruction & Guide. Light refreshments will be available at the workshop. This awesome gift only comes around once a year! 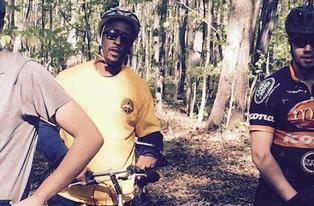 You'll get a 5-safety dry bag, safety whistle, carabiner and key chain made from recycled tires. 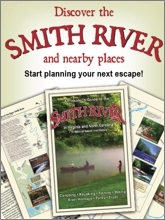 This year, we're adding a special bonus... both the Insider's Guide to the Dan River AND the Smith River, a $30 added value! Limited Quantities & Only Available Until December 10, 2018! 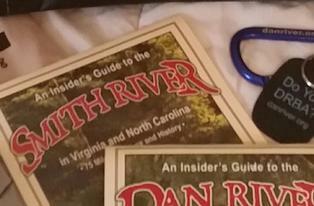 An Insiders Guide to the DAN RIVER in North Carolina and Virginia. 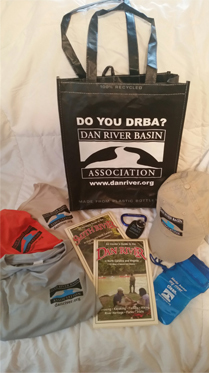 Visit a DRBA booth at a festival this year and save even more! 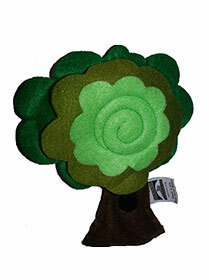 Hug a Tree for Arbor Day! 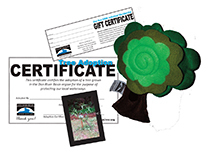 This Arbor Day honor the amazing benefits of trees and support two organizations which use trees to make a huge impact in our region. 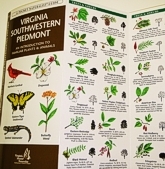 When you donate $15 to help support the planting of trees in the Dan River Basin, you will also receive your very own handmade stuffed tree to hug all you want! 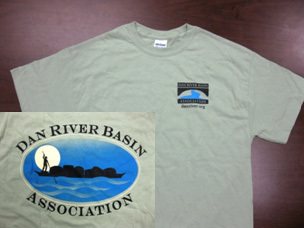 Your donation will support DRBA and Gateway Streetscape in planting trees along the banks of our rivers and streams as well as along roadways/gateways in Martinsville-Henry County, VA.
You can stop in any of the DRBA offices or the Gateway Streetscape office now until National Arbor Day on April 29th or purchase here online, shipping has been included. 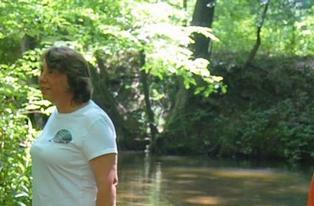 Help support the City of Eden, NC and DRBA?s River Otter Habitat Project on the Smith River in Eden, NC. 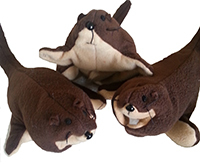 When you adopt a handmade- in-the-Basin river otter, you will support the installation of a river otter habitat, an otter education station on the Smith River in Eden, NC and get a VIP invitation to the ribbon cutting. 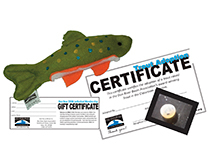 Your adoption comes with a certificate, river otter fact card and stuffed handmade river otter. 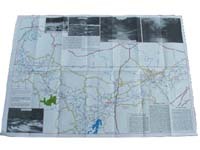 THE PERFECT GIFT For the outdoor lover! Limited Quantity! 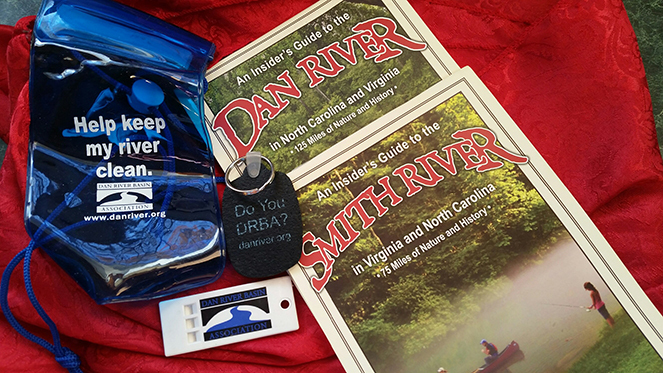 A wicking shirt in our choice of orange, grey or tan, a dry bag for phone and keys, keychain, carabiner, Insiders Guide to the Smith River, Insiders Guide to the Dan River, and a DRBA hat all packed in a bag made from recycled plastic bottles. 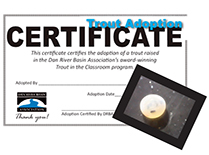 Your symbolic adoption of a trout helps to support environmental education programs that inspire protection of our natural resources for thousands of kids and adults. 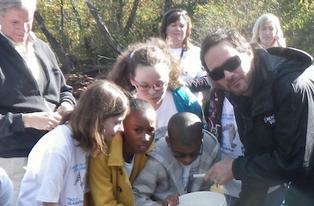 Adopting a trout provides a unique gift for someone you love and the satisfaction of knowing you are inspiring future generations of river advocates. 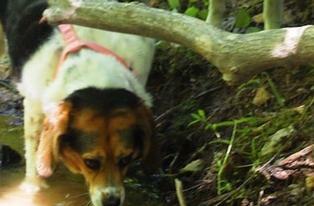 If this adoption is a gift for someone else, please fill out the adoption form after completing your paypal transaction. 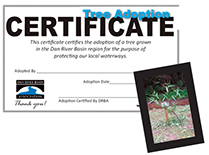 Your symbolic adoption of a tree helps to support river protection programs such as buffer plantings, trail building and citizen water quality monitoring. Adopting a tree will ensure our rivers have the protection they need to sustain and enhance our water quality for drinking, recreation and wildlife. 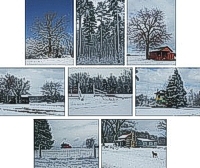 Cards are 4.25" x 5.5" on white paper and feature a single line border to frame each image on the card. 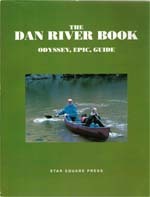 Loaded with Dan River Section physical descriptions and directions for river access. 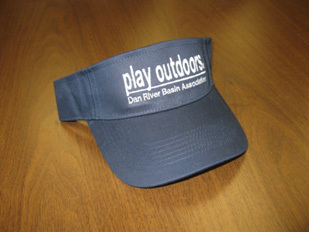 DRBA Play Outdoors Visor/Cap Navy-blue visor with white embroidered lettering: "play outdoors - Dan River Basin Association". One size fits all. Adjustable closure. 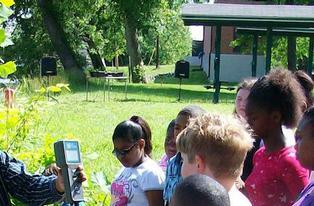 Whistle, compass, thermometer, light and magnifier all in one! Do You DRBA? 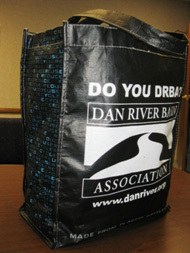 Reusable Shopping Bag Made from 100% recycled plastic. 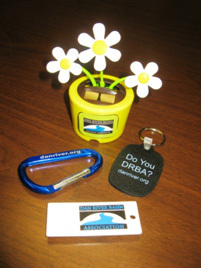 DRBA Items - Available at DRBA Events Solar-powered dancing flower, carabiner, keychain made from 100% recycled tires and river-safety whistle. 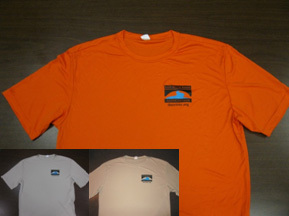 Our Tee Shirts have been popular items! Please see notes on sizes and availability. We are currently making plans for a new shipment, although styles may vary due to changes in vendors. 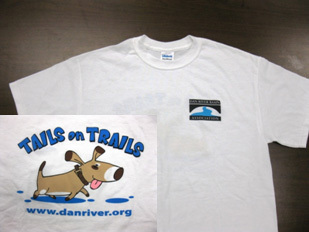 Help support building trails at our local animal shelters so that pups and volunteers can have more fun outdoors! 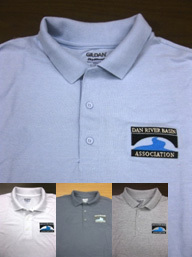 Sharp-looking, 100% cotton khaki cap with contrasting navy-trimmed bill and navy underside to reduce glare. 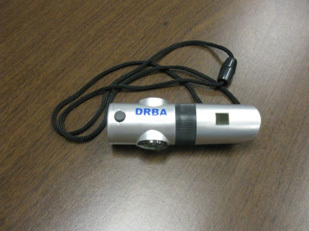 Navy cloth strap, embroidered DRBA logo. One size fits all. 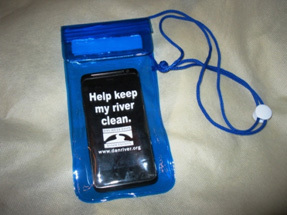 Great for keeping your phone or camera dry while on the river! Click the View Cart button below at anytime to return to your Shopping Cart and view its contents or Proceed to Checkout.